The kind of album that you can enjoy the hell out of straight from the off, and that will always get a big thumbs up from me. Amboaje is essentially a vehicle for Spanish vocalist Tony Amboaje, formerly of Spain-based outfits Hard Spirit and Sauze (he subsequently competed in his home country's version of The Voice in 2012, reaching the finals). 'All About Living' is the first album to bear his name solely, and one that Melodic Rock Records have high hopes of. 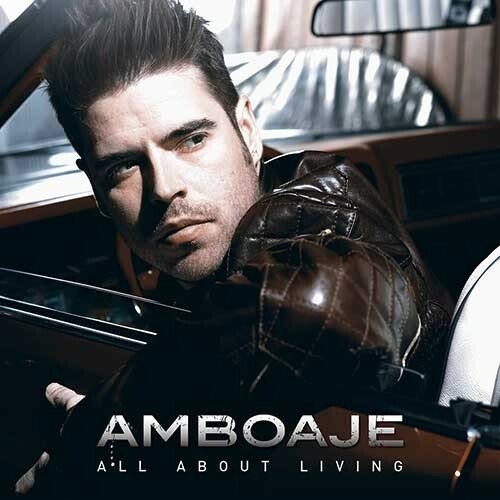 It would be easy to dismiss Amboaje as Rock's version of Enrique Iglesias thanks to his obvious charms, but he's actually delivered a cracker of an album that deserves attention, and one that has potential for crossover success. 'All...' is undoubtedly Pop/Rock and employs an unmistakeable "don't bore us, get to the chorus" attitude (certainly no bad thing! ), offering a wholly commercial American "radio friendly" vibe that effortlessly blends a contemporary sound with some good ol' Rock 'n' Roll, Party Rock and AOR; there's even a hint of feel-good Country Rock on the highly enjoyable 'Give Me The Real Thing' and the ballad 'It's Always You' (a duet with Paula Rojo). Think of a mix of Bryan Adams, Daughtry, Rob Thomas, Bon Jovi (when they were good), Mitch Malloy, maybe a touch of early H.e.a.t, Firehouse, Keith Urban – come on, admit it, there's at least one name there that has piqued your interest... if not, why are you even reading this magazine? There may be the merest whiff of Spanish "cheese" (Manchego?) that pervades throughout, and admittedly when I saw Señor Amboaje's OTT dancing in the video for first single 'Over And Over Again' I wanted to kick the TV screen in, but as for listening purposes, this is the kind of album that you can enjoy the hell out of straight from the off, and that will always get a big thumbs up from me.